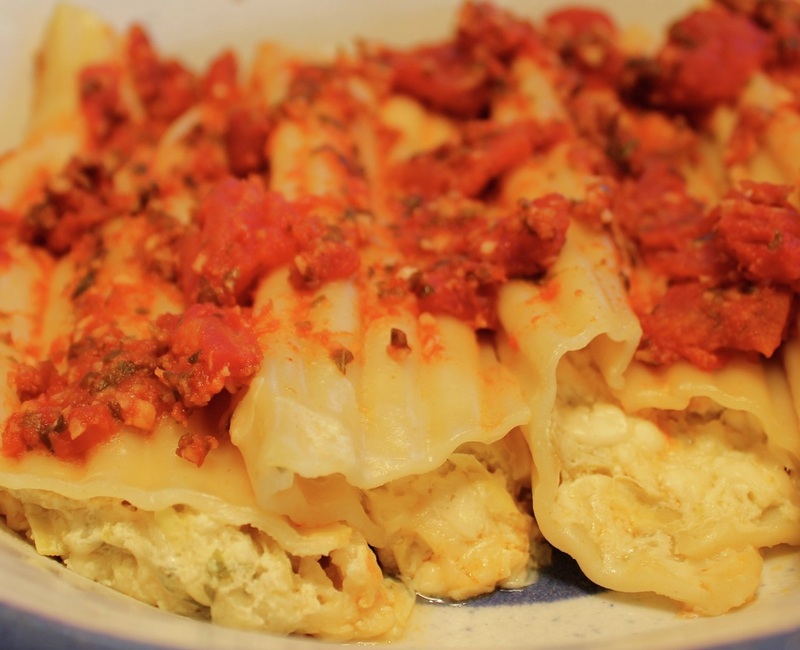 This is a very easy stuffed pasta recipe that has a nice mellow artichoke filling with an aromatic and flavorful sauce. In a food processor puree basil, garlic, and diced fresh tomato until fairly smooth well blended. Pour basil-tomato puree into medium saucepan, heat over medium heat and simmer for 2 minutes.